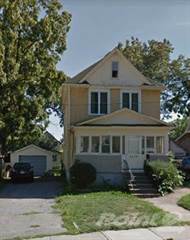 Houses for rent in Niagara Falls, ON are easy to filter and browse through on Point2 Homes. Whether you’re looking for apartments for rent, furnished apartments, condos, single family homes, studio apartments, townhouses or any other rentals, you can get a list of properties based on your needs with just a few clicks. 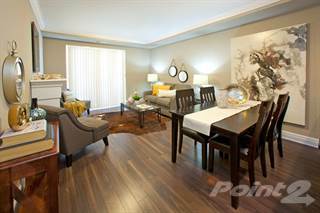 Rental homes in Niagara Falls, ON on Point2 Homes are displayed with important additional information, such as property type, square footage and amenities, and the name and contact information of the real estate agent handling the property. You can also learn whether there have been significant price drops in the rent during the last 6 months. Whether you’re looking for rental apartments or generally homes for rent in Niagara Falls, ON, on Point2 Homes you can tell whether you’re close to the amenities you need at a glance, by using the map view. 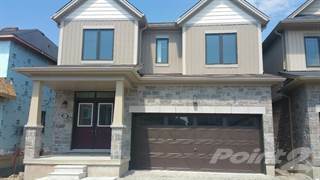 And if you know exactly where you want your apartment to be in Niagara Falls, ON, you can simply use the polygon or radius tools to draw around the area you’re interested in, and Point2 Homes will instantly show you all the rental homes there. How much is rent in Niagara Falls, ON? There are two ways in which you can find apartments for rent based on price on Point2 Homes: you can either set the minimum and maximum price range yourself, or you can simply sort all the available houses for rent based on price, if you want to browse a wider range of rental homes. Once you’ve found a rental you’re interested in, all you have to do to get in touch with the listing agent is check the listing detail page – all the contact information you need will be there. 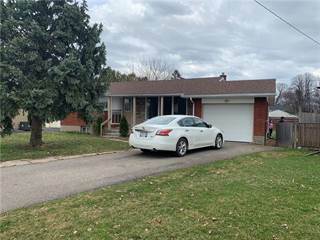 If you’d rather start with expert advice, getting in touch with professional agents in Niagara Falls, ON is very simple on Point2 Homes. Simply go to Tools in the menu and find an agent. You get a list of featured agents in Niagara Falls, ON, all knowledgeable and eager to help. Located in the Golden Horseshoe region of southern Ontario, the city of Niagara Falls has a population of over 88,000 people. The city covers more than 209 square kilometres along the Niagara River, south of Lake Ontario and north of Lake Erie. 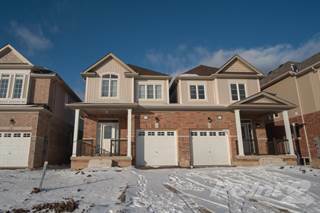 Nearby communities include St. Catharines, Welland, Fort Erie, and Port Colborne. Niagara Falls sits along the Canada/United States border, sharing the Niagara River with communities in the state of New York. The city is a major draw for tourists, who come to see the famous waterfalls and enjoy the plethora of entertainment attractions on offer. Niagara Falls has a mid-range real estate market, with average house prices ranging from $400,000 to $450,000. The city’s northern section has a mix of large, more expensive single-family homes and smaller, affordable single-family homes. High-priced vacant land can also be found in this section. In the central section, there are more older homes and plenty of commercial space (retail and industrial), as well as high-priced vacant lots. Newer homes can also be found in this section, mostly along the city’s western edge and along the Niagara River. The southern section has a little bit of everything: newer and older single-family homes, commercial space, condos, and vacant land. The vacancy rate in Niagara Falls has decreased somewhat in the past several years, and sits between 3% and 4%. Vacancy rates tend to be lowest for bachelor and one-bedroom apartments in the city, and units of all sizes have seen at least a small decrease in the rate. Older apartment buildings tend to have higher vacancy rates than newer apartment buildings do, and often have cheaper rent costs to reflect the lower demand. Average apartment rental costs in Niagara Falls are about $560 for a bachelor apartment, $770 for a one-bedroom apartment, $900 for a two-bedroom apartment, and $1,000 for a three-bedroom (or more) apartment. Rent costs have increased over the past few years, with increases being consistent for all unit sizes. Niagara Falls’ economy is made up of a diverse group of industries, including tourism, manufacturing, professional services, and retail. Tourism is the largest economic contributor in the city, and includes attractions, shopping centres, hotels, casinos, and restaurants. Art galleries, performing arts centres, events and festivals, historic sites, parks and gardens, Niagara Falls tours, conference centres, and sports and recreation centres are all big tourist draws. Entertainment parks and venues such as Clifton Hill, MarineLand, casinos, theme restaurants, Skylon Tower, Fallsview, and Konica Minolta Tower Centre also provide a great deal of revenue for the city. The city’s unemployment rate has remained steady at just over 6%, which is on par with the national rate. Niagara Falls Transit operates public bus transportation in the city and services around 25 routes with its fleet of close to 30 vehicles. The Niagara Falls Transit Terminal is the major transit hub, from which residents can access buses from Niagara Falls Transit, GO Transit, Megabus/Coach Canada, and Greyhound. Residents can also travel via GO Transit, VIA Rail, and Amtrak train services. These additional transportation options provide access to nearby communities and larger urban centres. The District School Board of Niagara, Niagara Catholic District School Board, and Conseil scolaire du district catholique centre-sud operate primary and secondary schools in the area, including St. Patrick, Stamford Collegiate Secondary School, Cherrywood Acres, École élémentaire catholique Notre-Dame-de-la-Jeunesse, Notre Dame, Westlane Secondary School, James Morden, Orchard Park, and Valley Way. Post-secondary options in this area include Niagara College – Niagara Falls Campus and Transitions College of Business and Career Studies. Other post-secondary options can be found in nearby communities. Skylon Tower is an observation tower that provides views of waterfalls on both the Canadian and American sides (American Falls in New York, and Horseshoe Falls in Ontario). The tower opened in the mid-1960s, and tourists and residents have been visiting it ever since. Besides the observation deck, the tower houses restaurants, gift shops, and an arcade. Niagara Parks’ Botanical Gardens provides 40 hectares of maintained gardens featuring perennials, roses, herbs and vegetables, tree-lined walkways, sculptures, and memorial benches. Horse and carriage tours of the gardens are available, and visitors can also check out the onsite butterfly conservatory, which has over 2,000 tropical butterflies that fly freely throughout the building.